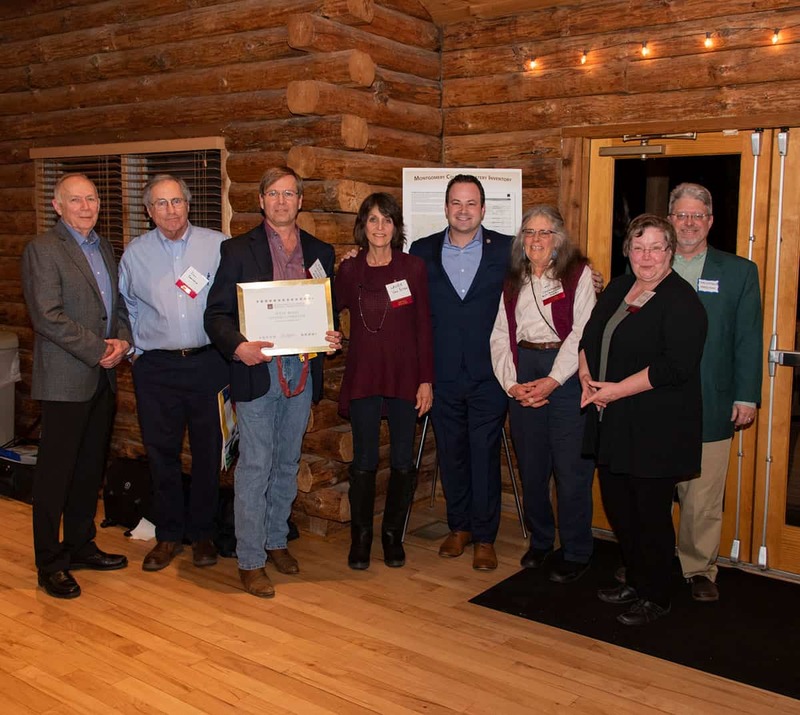 Ten Montgomery County individuals and groups received 2018 Historic Preservation Awards recently at Seneca Lodge in Boyds. 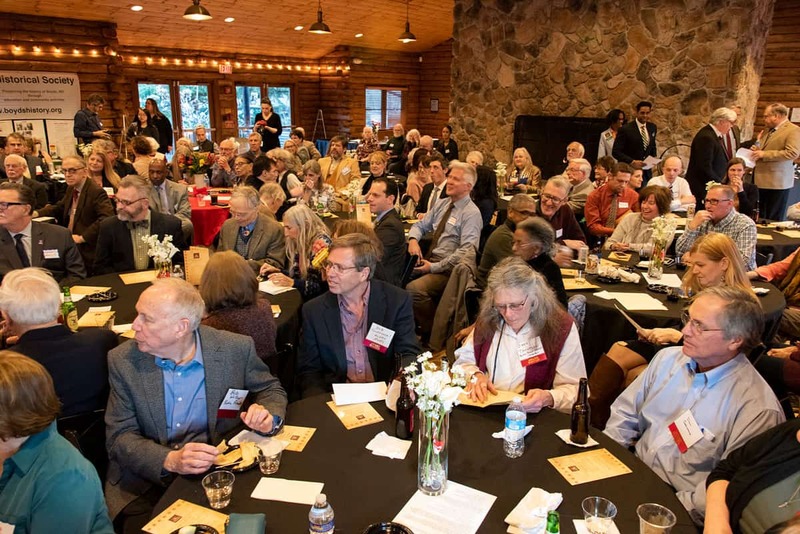 Extraordinary citizens from all corners of the County were honored by their peers and public officials for educational programs, restoration projects, creative stewardship, and partnerships that led to preservation success. 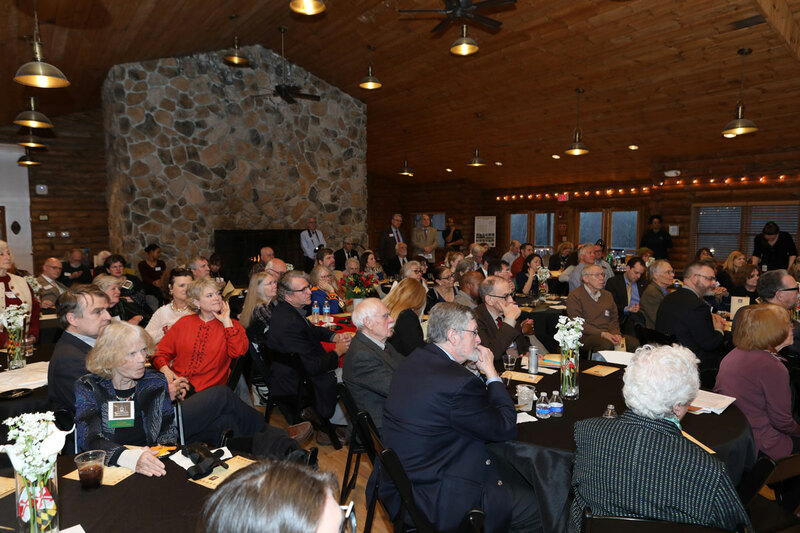 An overflow audience cheered each recipient who restored a building or initiated a program to further local history and historic places. 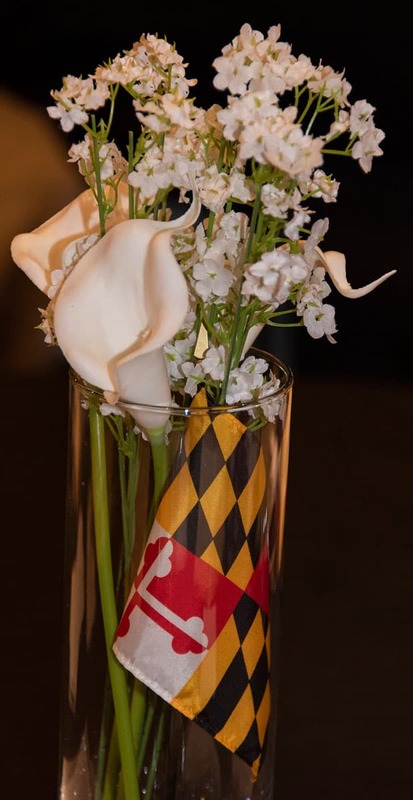 The annual event, sponsored by MPI, showcases outstanding achievements in the private, non-profit, and public sectors in Montgomery County. 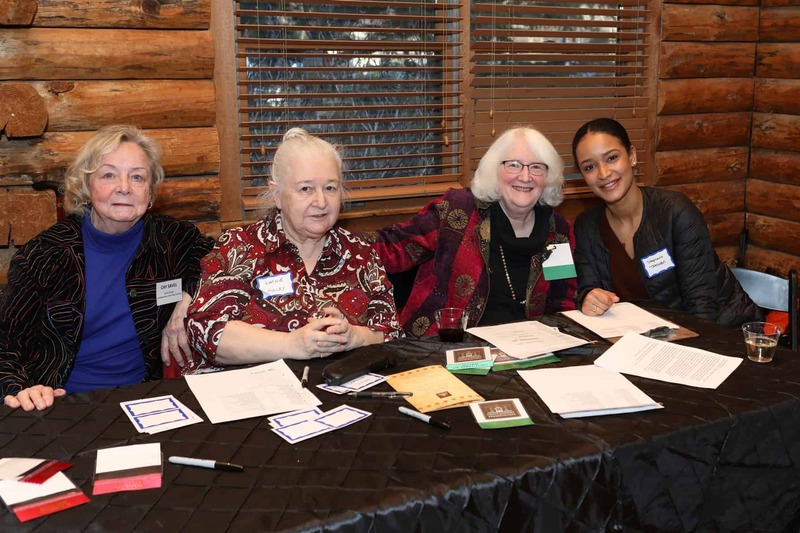 This year, Germantown Historical Society and Boyds Historical Society co-hosted the event. 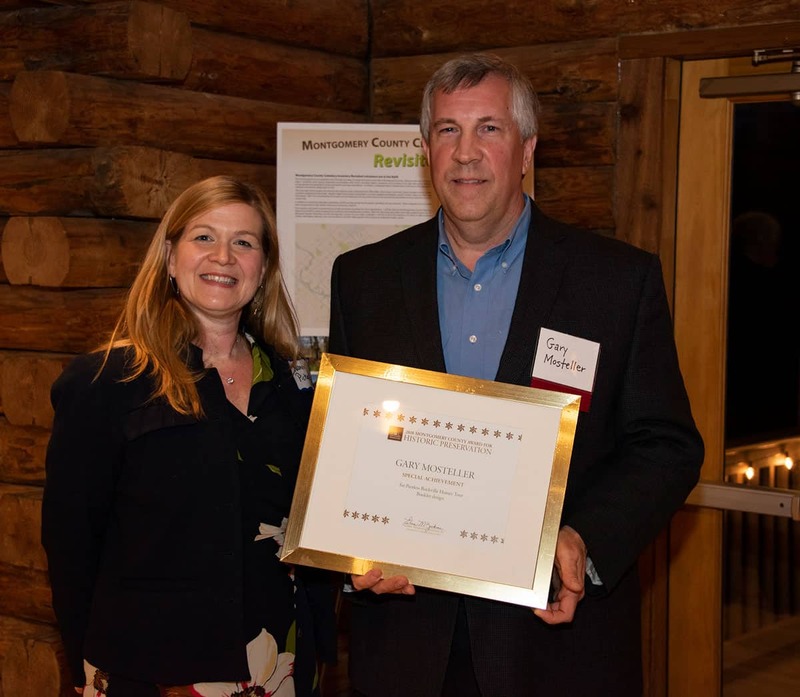 Miche Booz Architect was honored for exterior restoration and adaptive reuse of Hammer Hill, a visible and previously endangered Queen Anne-style house in Clarksburg. 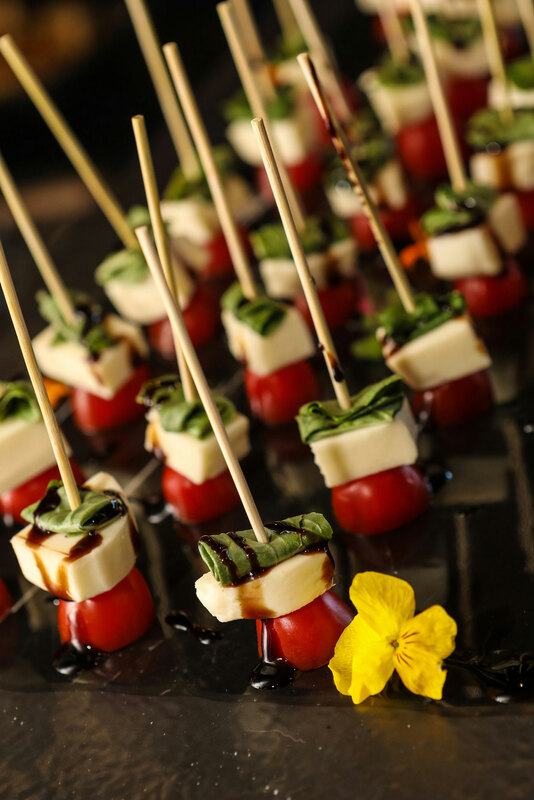 Now used as a medical office, the former residence retains beautiful architectural features. 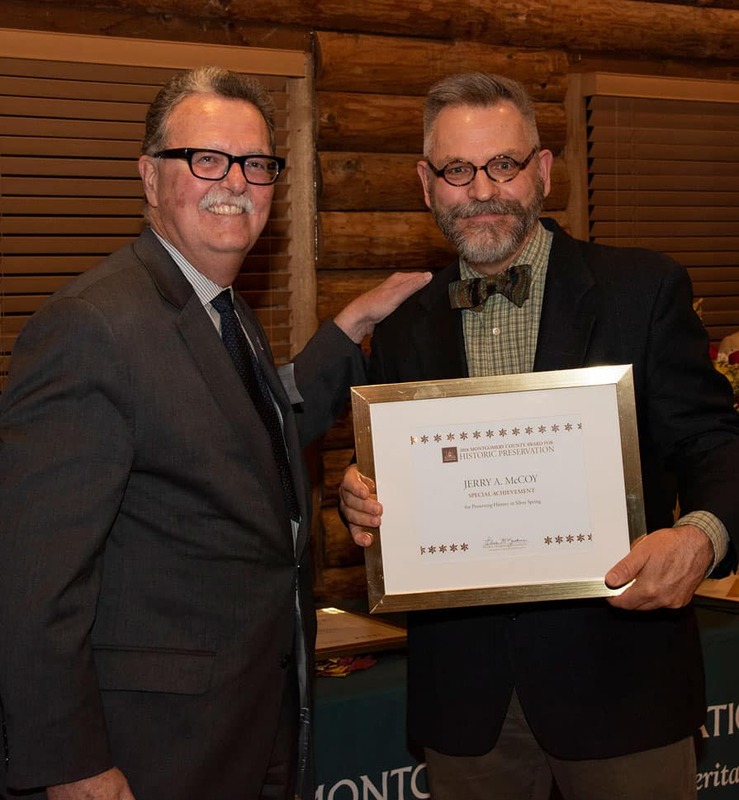 County Councilmember At Large Evan Glass presented the award. 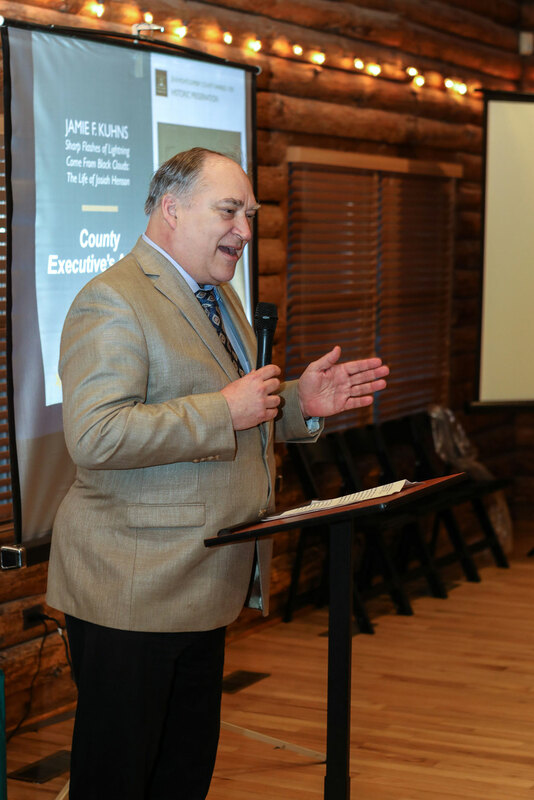 Accepting the County Executive’s Award was historian Jamie F. Kuhns. 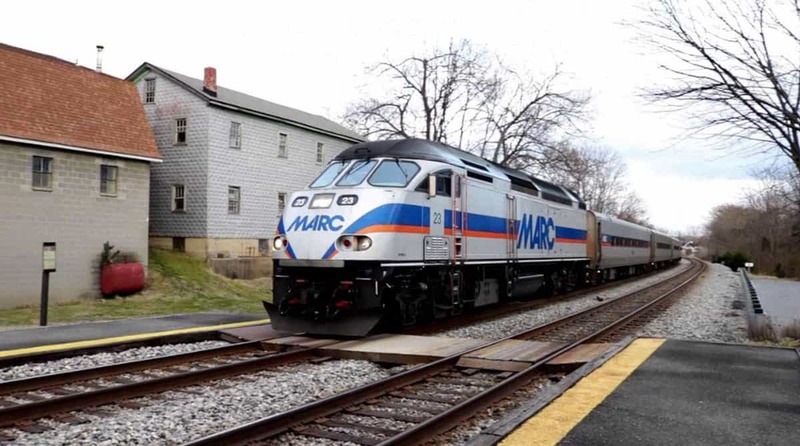 While most nominations come from the public, this award is selected by the County Executive after recommendation by the Historic Preservation Commission and its staff. 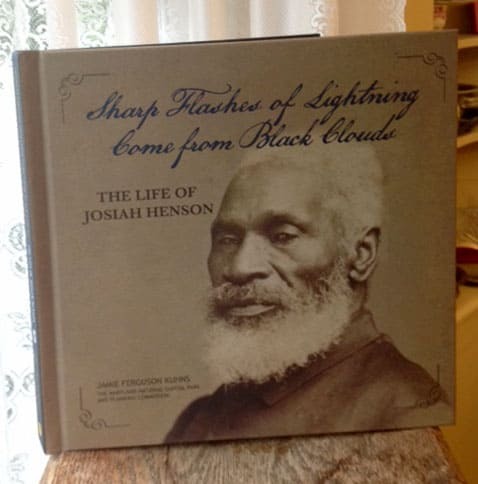 This year, County Executive Marc Elrich selected Jamie Kuhn’s scholarly biography of Josiah Henson, which details Henson’s resilience in overcoming slavery in Maryland to hold a place in international history. 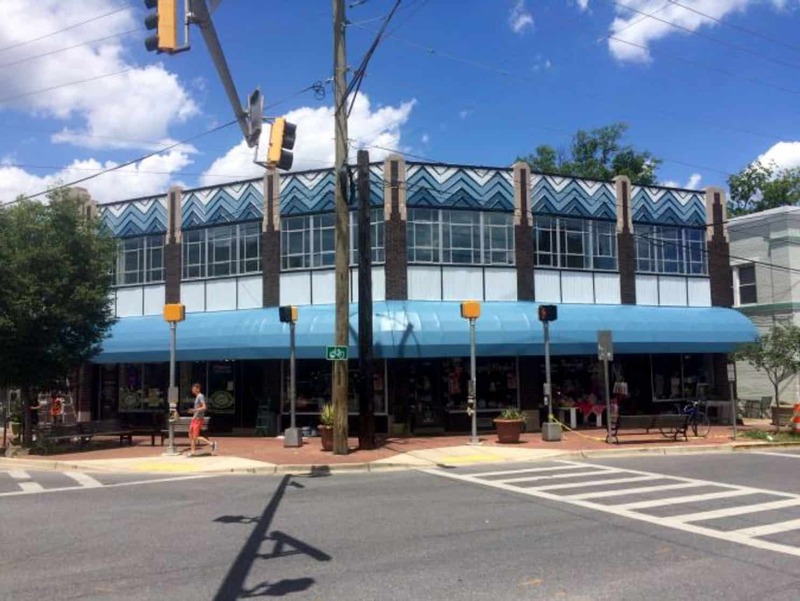 KC Associates and John Stone were applauded for restoration of an Art Deco commercial storefront in Takoma Park. 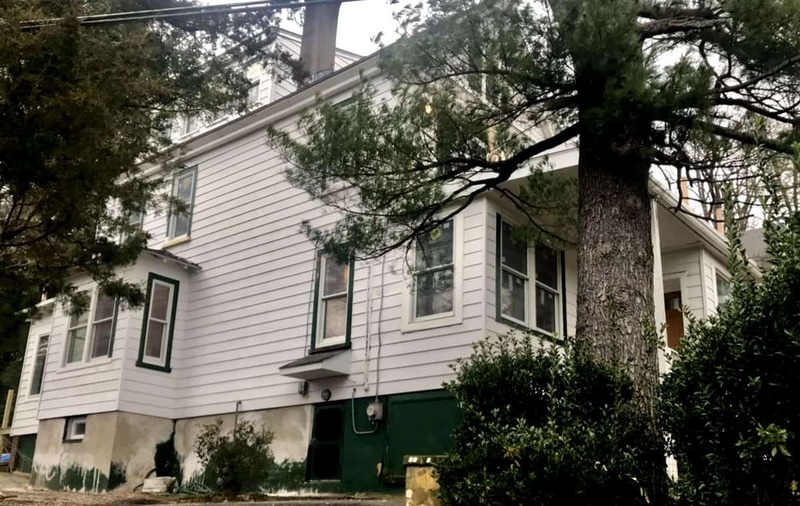 Exterior restoration of 7000 Carroll Avenue included refinishing signature chevron spandrel panels and meticulously repairing 44 original windows. 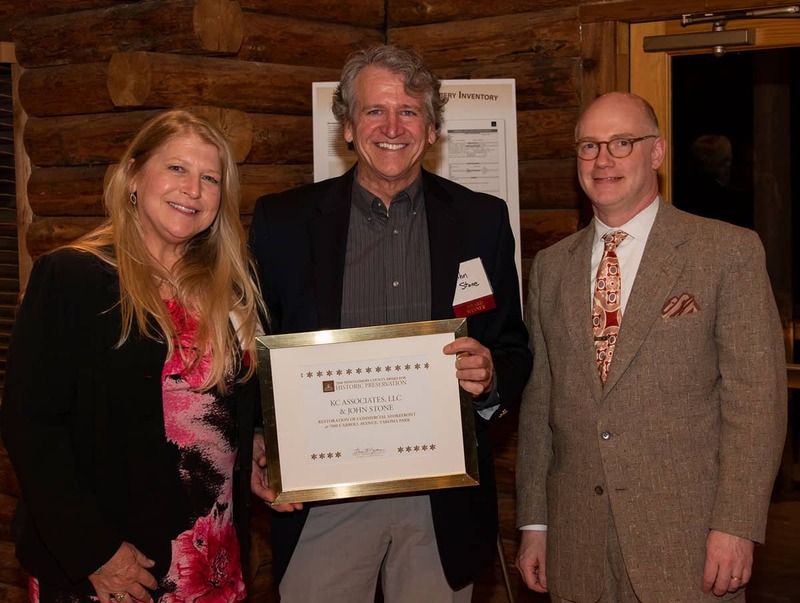 Steve Knight, president of the Art Deco Society of Washington, DC, bestowed the award. 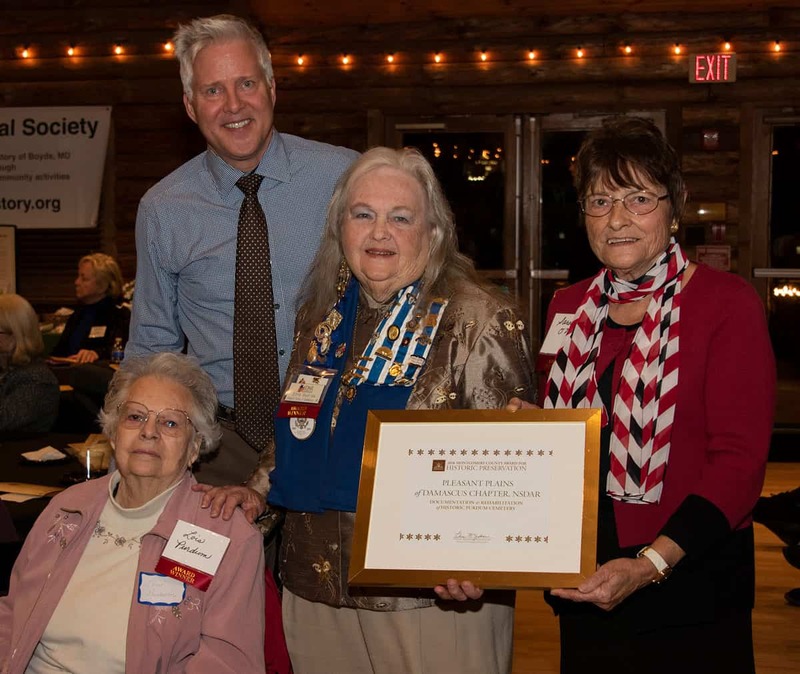 Pleasant Plains of Damascus chapter of the National Society Daughters of the American Revolution was honored for documentation and rehabilitation of historic Purdum Cemetery in Cedar Grove. 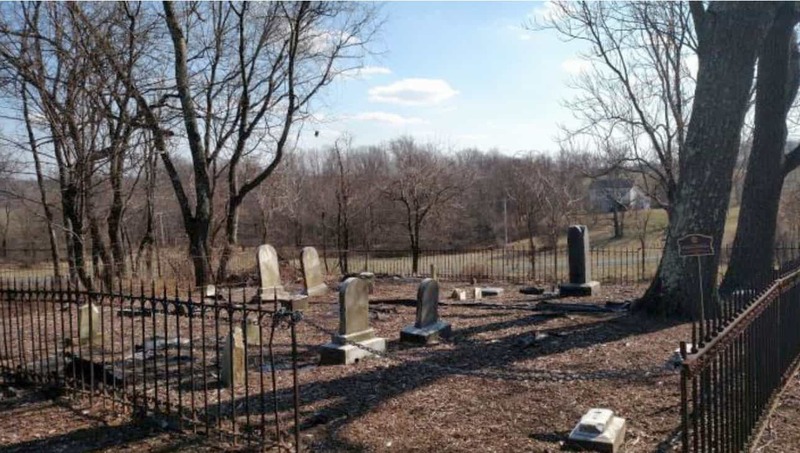 With Purdum family members, the group brought new life to the resting place of an early Damascus family for the benefit of the community. 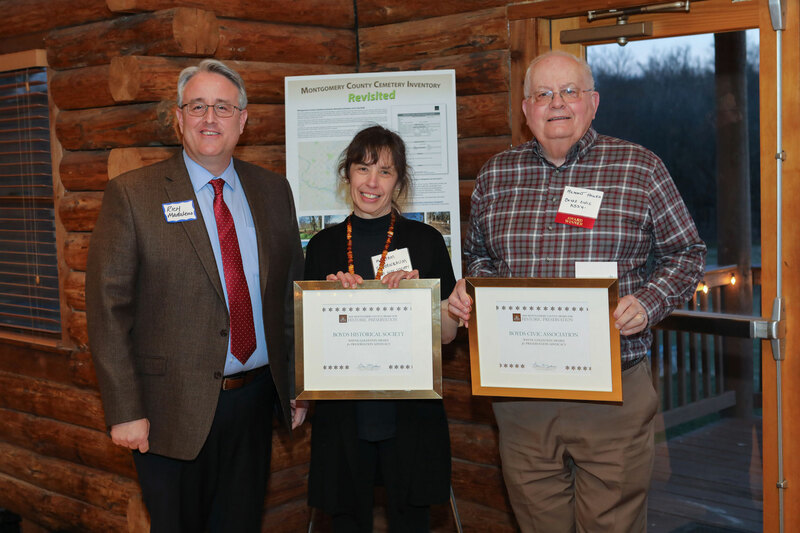 The award was given by Glenn Wallace, director of the Montgomery County Cemetery Inventory-Revisited project. 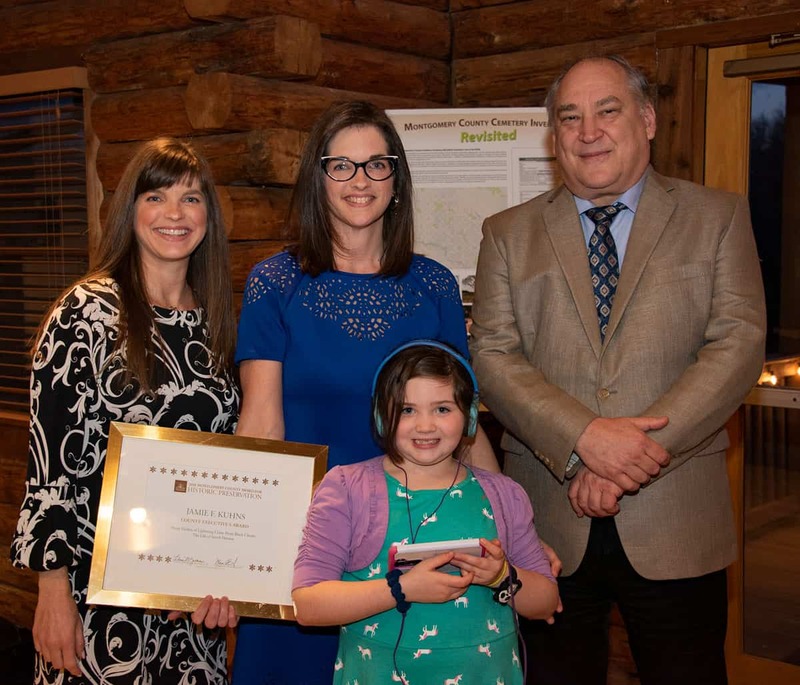 Carrie and Tom Witkop received an award in recognition of their rescue and rehabilitation of an 1889 Victorian in the Capitol View Park historic district. 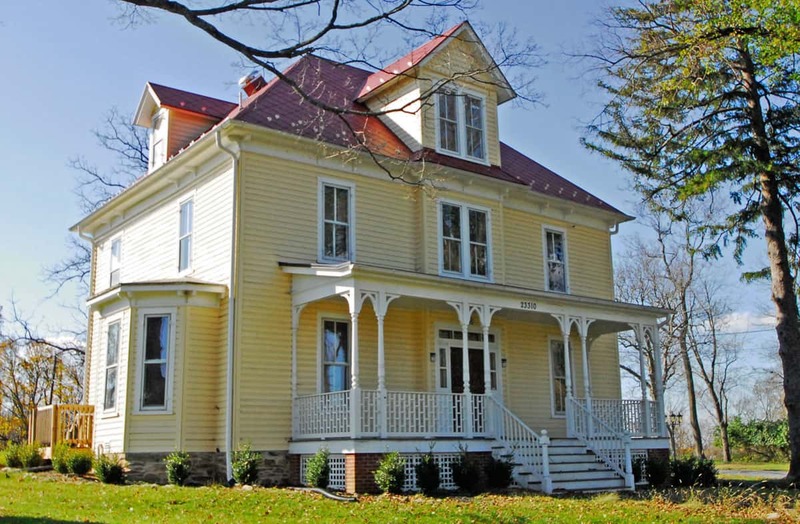 Formerly in ruinous condition, today the house is a charming residence. 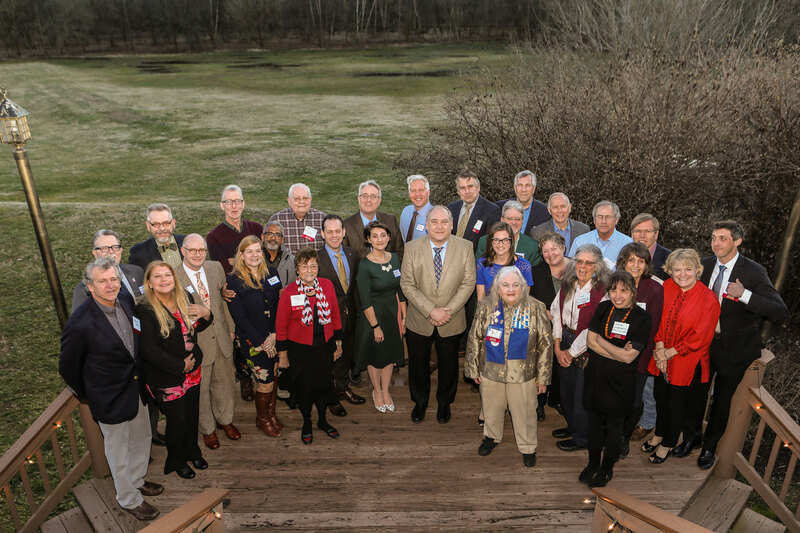 Presenting was Rebeccah Ballo, supervisor of the Historic Preservation program. 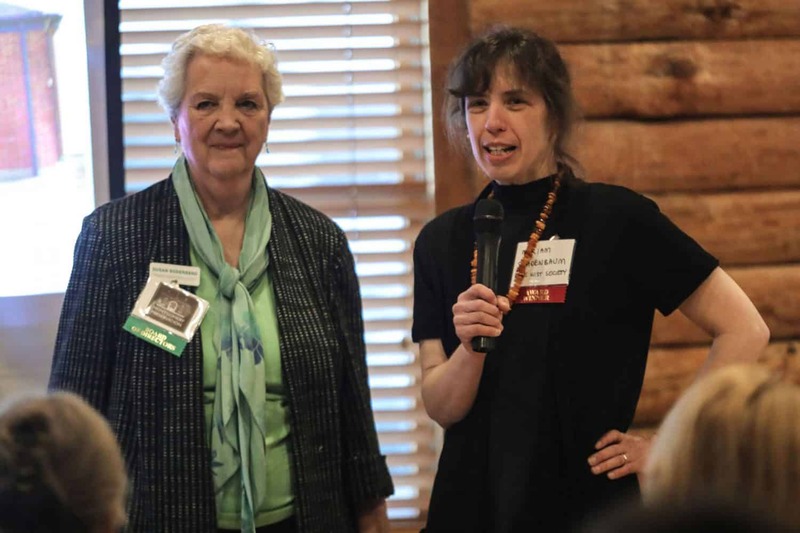 The Wayne Goldstein Preservation Advocacy Award was earned by Boyds Historical Society and Boyds Civic Association for decades of working together to improve multiple aspects of their historic rural community. 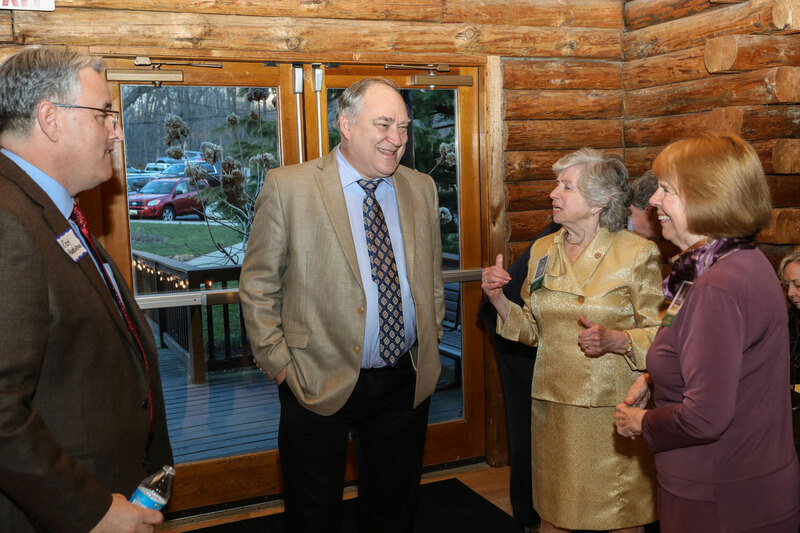 Richard Madaleno, Director, Office of Management and Budget, presented awards to Miriam Schoenbaum and Hammet Hough. 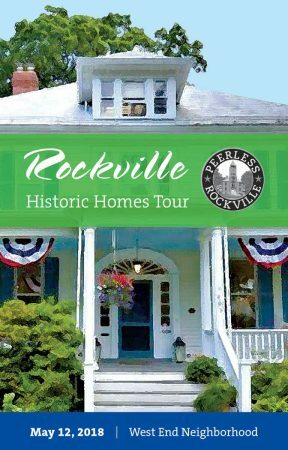 Special Achievement Award to Gary Mosteller for design of a Peerless Rockville homes tour booklet was presented by Nancy Pickard, Executive Director of Peerless Rockville. 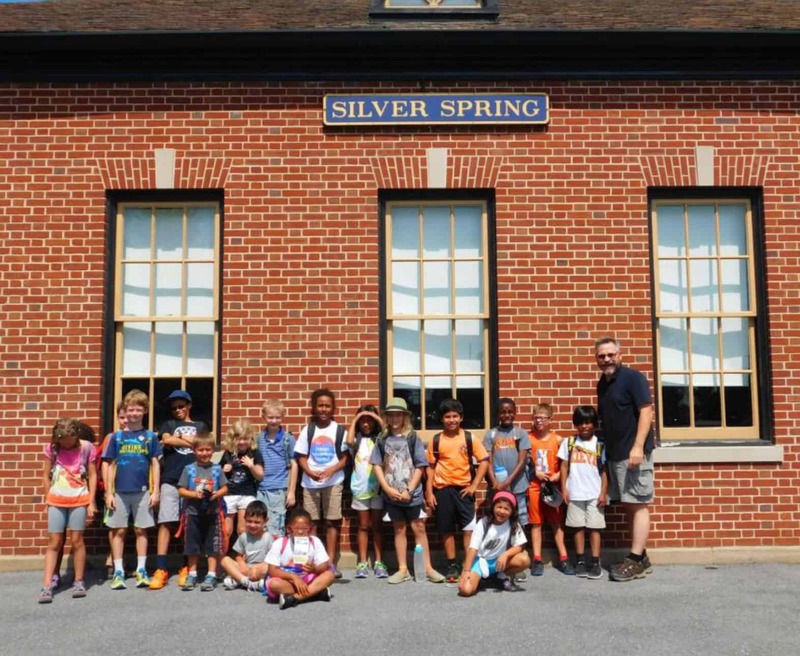 Special Achievement Award given by Reemberto Rodriguez, Director, Silver Spring Regional Center, to Jerry A. McCoy for educational programs, publications, and advocacy to preserve the history of Silver Spring. 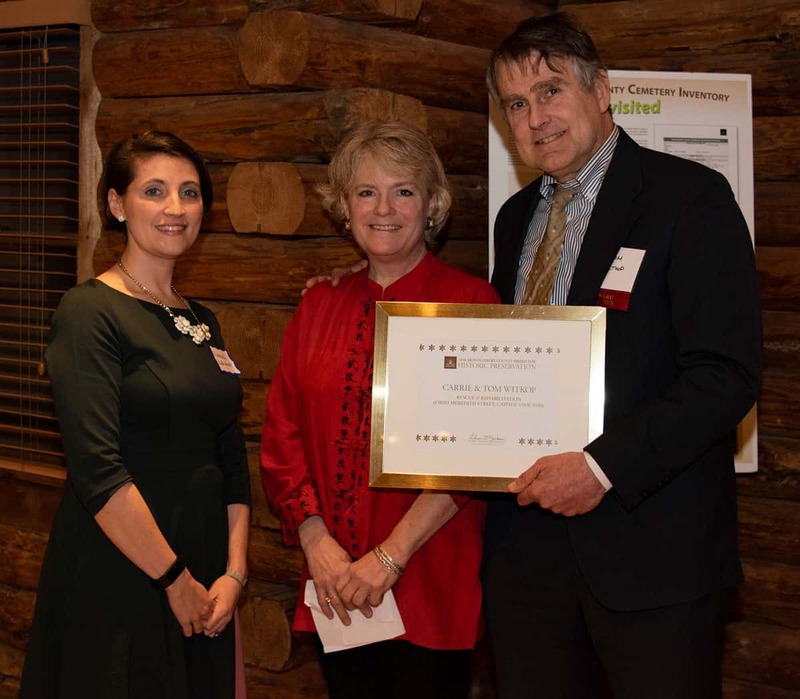 The Menare Foundation was honored for painstaking restoration of the 1882 farmhouse, home of the Button Farm Living History Center on Black Rock Road in Boyds. Honoring Tony Cohen and Steve Gillick was County Councilmember Craig Rice, District 2. 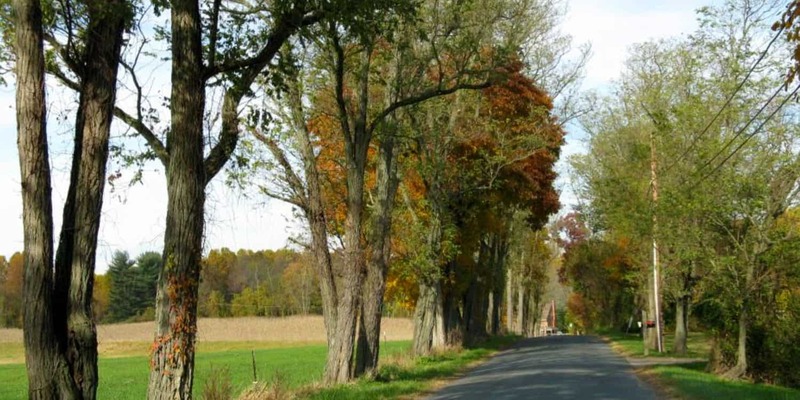 The Montgomery Prize went to the Rustic Roads Advisory Committee for more than 30 years of preserving our landscape heritage. 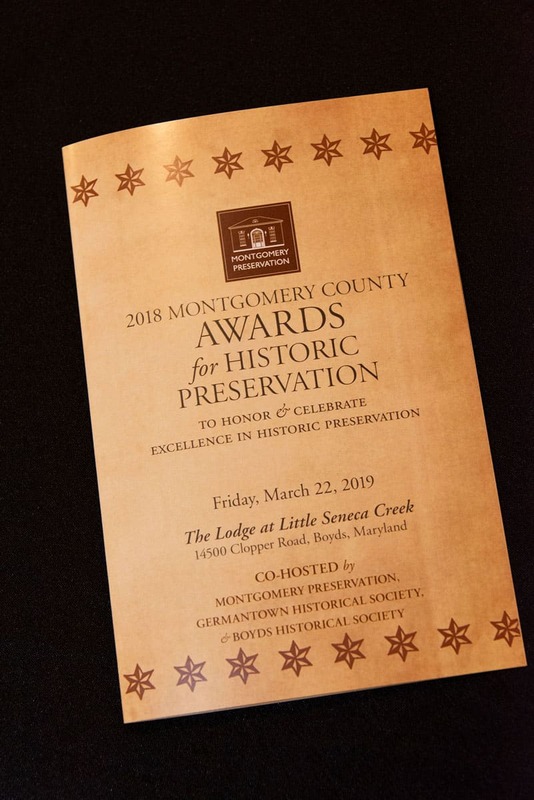 This award honors continuous outstanding achievement in furthering history and preservation in Montgomery County. 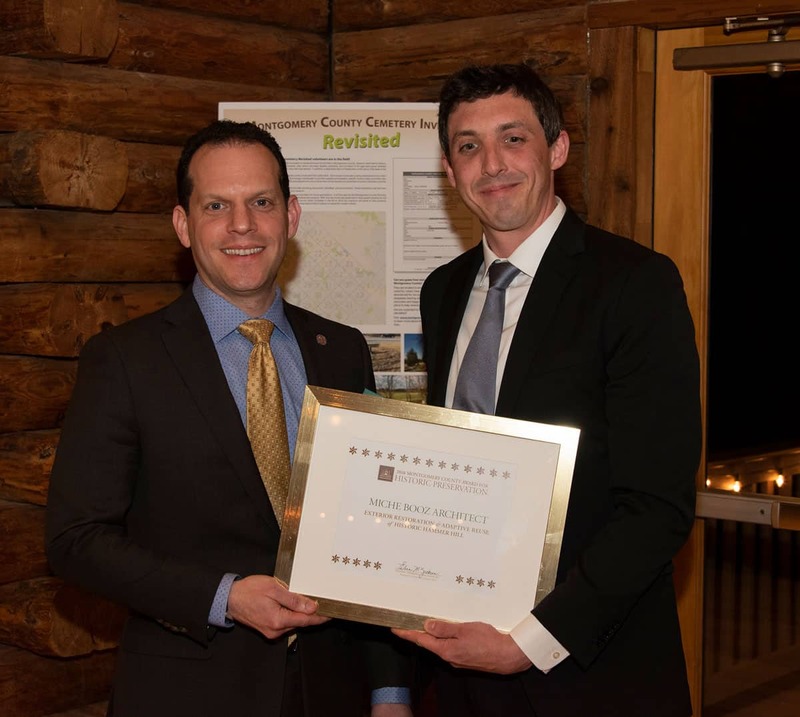 Accepting the award from County Councilmember Andrew Friedson, District 1, were RRAC committee members and staff. 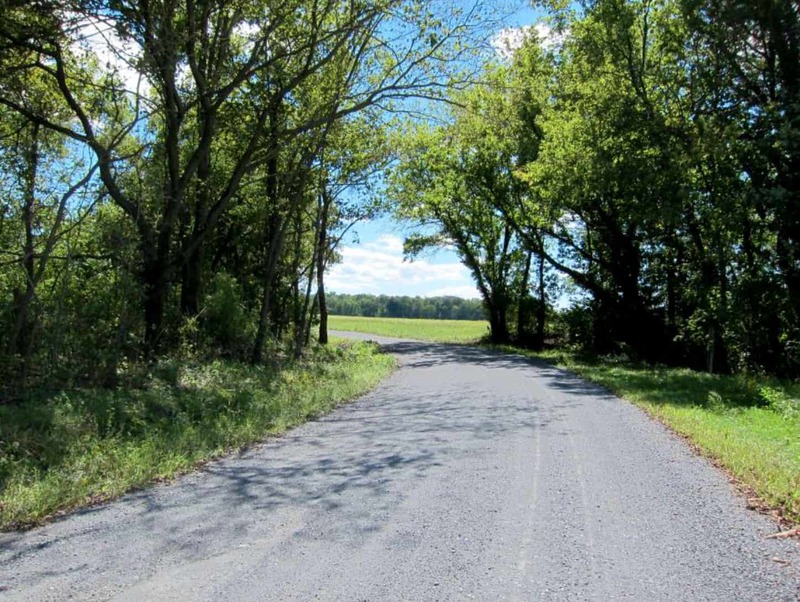 Germantown Historical Society note: The song “Take Me Home, Country Roads” made popular by John Denver in the early 1970s was inspired by our very own Clopper Road. 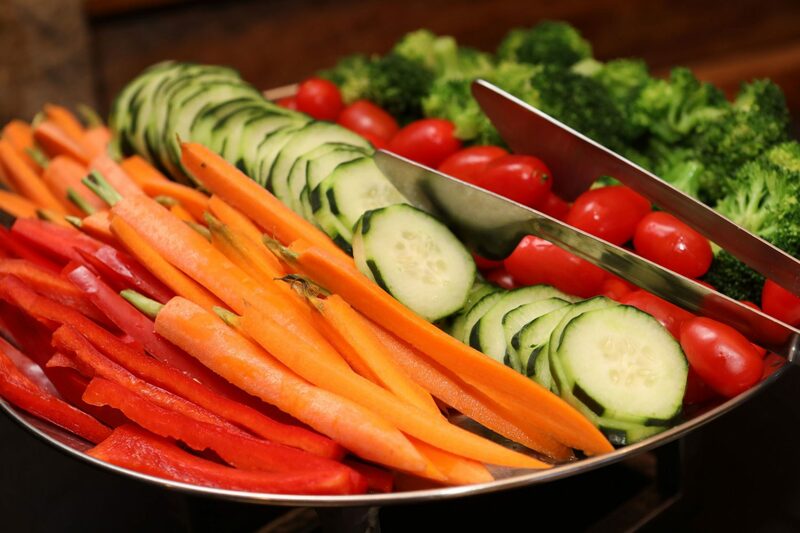 Initially written by Taffy Nivert and Bill Danoff of Fat City, Denver first sang it on December 30, 1970, at the Cellar Door… where it received a standing ovation.